Charles McClintock joined Fielding in 2001 as Dean of what is now the School of Leadership Studies following a 27-year career at Cornell University as a professor and administrator. 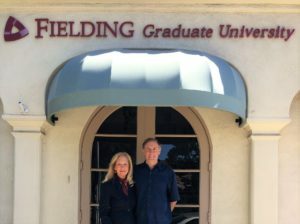 Following his retirement as Fielding Dean in 2012, he served as President of the Santa Barbara and Ventura Colleges of Law, returning to Fielding in 2014 as Senior Advisor and Director of Fielding’s Institute for Social Innovation. Carol has held leadership positions at the Kentucky Center for the Arts and the Cornell Center for Theatre Arts. She has served on several boards, most notably in Santa Barbara with the Ensemble Theater Company and the Santa Barbara Center for the Performing Arts, including during the renovation of the Center’s Granada Theatre.